Outside my window... the house is finally fully sided. A few more pieces of Soffit and some Trim and it will be complete. I am thinking... that the work can not be done fast enough. In the kitchen... The Drywall is almost complete and will be ready for floors and counter tops this week. I am wearing... 2 towels...1 On my head and 1 on my body. Well you asked!!! I am creating... So many creations going on around here. My favorite is some old Drawers from a waterbed that I am making into benches for the kids playroom and a chalk board wall. I am going... no where there is too much work to be done. I am wondering... Where Jim put his good hammer I bought him and my pry bar. I can not find it anywhere. I am hoping... that the house is done QUICK! Around the house... we have been getting so many compliments on how well the house is coming along. I am pondering... What color to paint the bathroom. A favorite quote for today... Hard work makes a house a home. One of my favorite things... is being able to spend some time cuddling with all my babies. A few plans for the rest of the week: Drywall, Trim, closet doors, and who knows what else. A peek into my day... 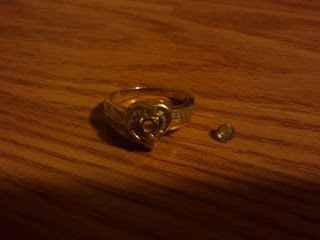 I lost my Diamond to my ring night before last or so.. maybe last night.. Today after all this time searching I found it. The babies were "helping" me carry a bucket and Matthew pushed it so hard it hit my hand into the wall and flung it across the room. I did not notice until a few hours later. Thank you Lord for letting me find it. I feel naked with out the ring but Jim was going to buy me a Promise to fix your diamond later ring while we looked for the diamond so I would have something on my finger. 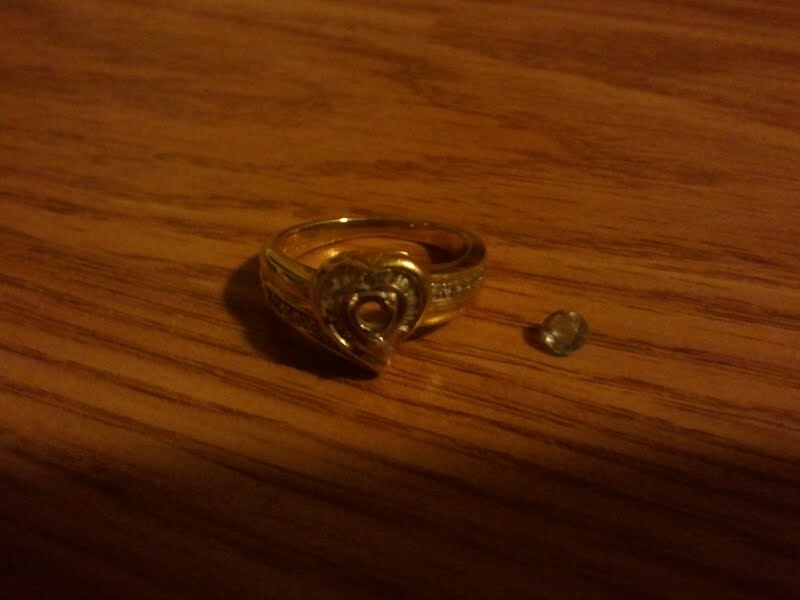 I told him I will still take a sterling silver ring. 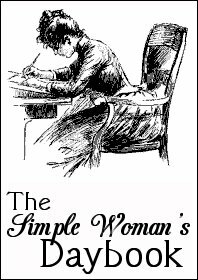 I am not sure if they can put this back in with the prongs broken..
Join us with a Simple Womans day book post on your own blog by linking here.